Mayo Clinic’s Florida campus is returning to normal operations. The outpatient clinic is closed on Tuesday, Sept. 12, but is expected to be open for normal business hours on Wednesday, Sept. 13. The inpatient hospital and emergency department remain open. We realize that many faculty and students/trainees may have endured significant impact or displacement due to the storm. If you are not able to report to classes/training, please contact your program director in advance of Wednesday morning. Many of our patients and staff have endured significant impact from the storm. Our hearts are with them and their families. Our primary concern is for their safety. All Mayo Clinic outpatient facilities are closed on Tuesday, Sept. 12. However, there are a limited number of patients who will be contacted to receive emergent outpatient care on Tuesday. Normal outpatient operations will resume on Wednesday, Sept. 13. The hospital and emergency department remain open. The patient information line 904-953-7100 will continue to be updated. For the most up-to-date weather information, visit the National Hurricane Center site. 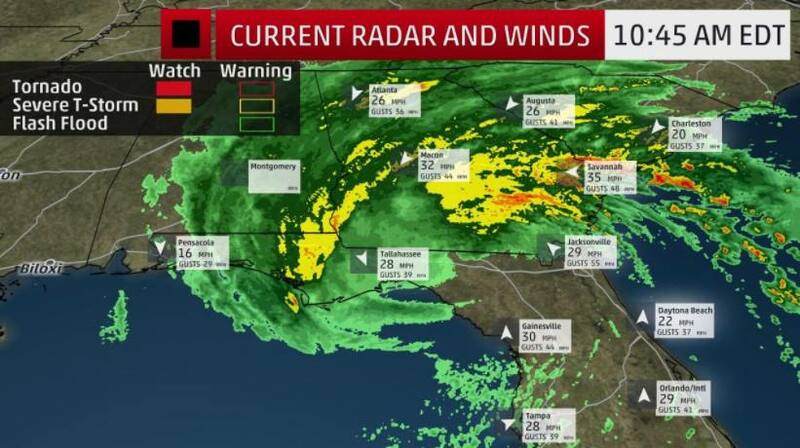 With the worst of the storm passing through Jacksonville overnight and into early morning, the hospital on Mayo Clinic’s Florida campus remains open and continues to operate on normal power and on normal communications channels. At this time, some other areas of campus are on generator power and many surrounding neighborhoods and businesses are without power. We are working to restore normal power in these areas on our campus, and carefully assessing any possible damage from the storm to make sure the campus is safe for patients and staff. We continue to evaluate if we are able to return to normal operations on Tuesday, Sept. 12. We will make a decision no later than 5 p.m. ET on Monday regarding Tuesday operations. We are communicating with colleagues at other local hospitals in Northeast Florida to see how we can all work together to serve our patients. 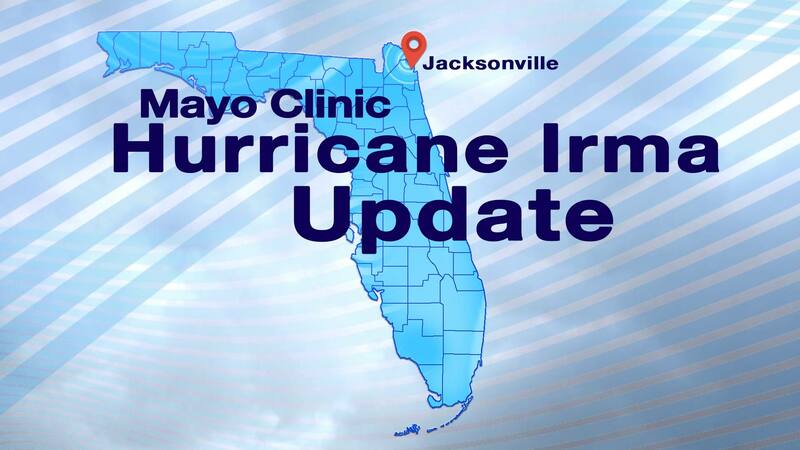 We also have reached out to our Mayo Clinic Care Network partners in Naples and Lakeland to offer our assistance. Despite a gradual strengthening of rain and winds from Hurricane Irma slamming the region, Mayo Clinic’s Florida campus is in good condition. The hospital remains open and is operating under normal power and on normal communications channels. Our staff continues to provide high-quality care for our patients. 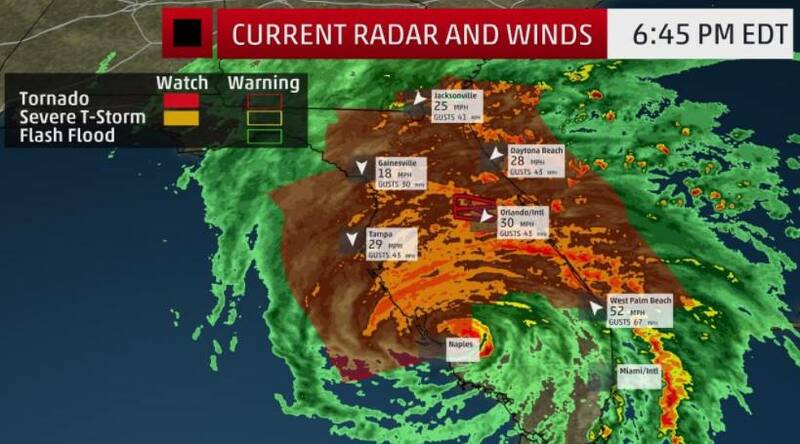 We are in contact with other local providers and our Mayo Clinic Care Network partner in Naples (NCH Health System) and are standing by to help them if needed. The patient information line at 904-953-7100 will continue to be updated throughout the storm. 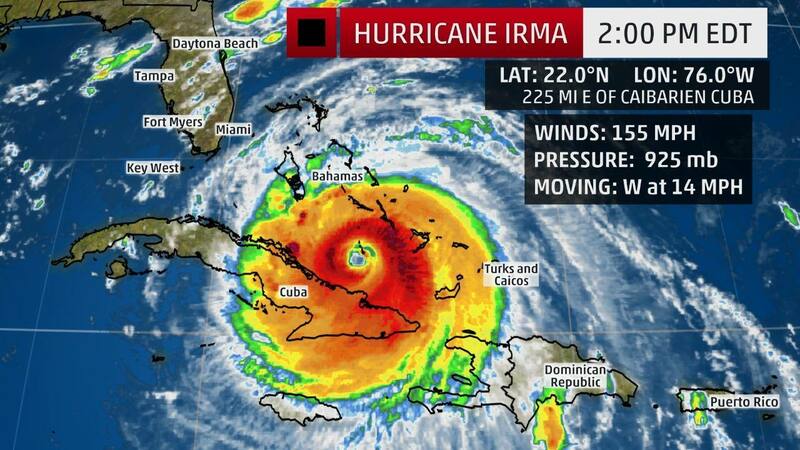 For the most up-to-date information on Hurricane Irma, visit the National Hurricane Center website. 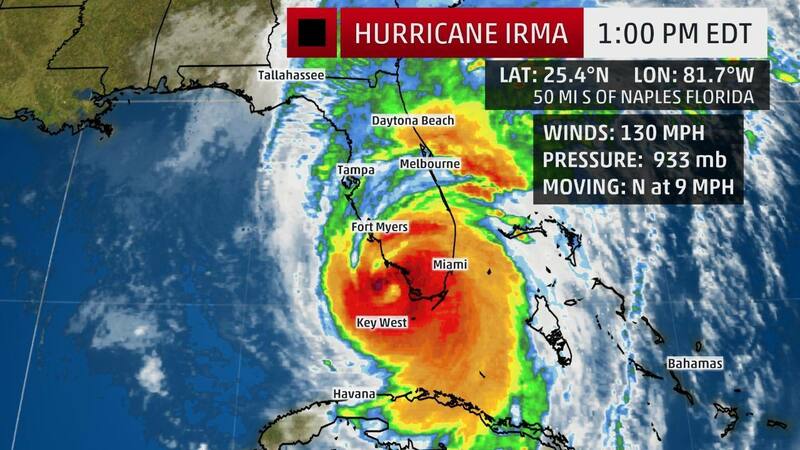 As Hurricane Irma barrels up the peninsula of Florida, staff at Mayo Clinic’s campus in Florida continue to care for our patients. While the outpatient clinic is closed through Monday, Sept. 11, the inpatient hospital remains open. At this time, we expect to return to normal operations on Tuesday, Sept. 12, but will continue to evaluate that as the storm progresses. We will make a decision no later than 5 p.m. ET on Monday regarding Tuesday operations. For the safety of our patients and staff, all outpatient clinic operations at Mayo Clinic’s campus in Florida are now closed through Monday, Sept. 11. The hospital remains open. The patient information line at 904-953-7100 will continue to be updated throughout the storm. For the most up-to-date information on Hurricane Irma, visit the National Hurricane Center website. To ensure that our patients and staff remain safe, the outpatient clinic will close at 3 p.m., Friday, Sept. 8, and will remain closed all day Monday, Sept. 11. Scheduled patients will be contacted via text and automated calls about rescheduling their appointments. The inpatient hospital remains open.